Not really, but someone somewhere probably felt something similar to my opening statement, though maybe not that exaggerated. That person probably never expressed their love of the movie because people can be cruel and would probably mock them for their poor taste in movies. And many reading this would cheer them on. Not out of any true malice, but because there is a belief that no one in their right mind would think Transformers 4(or any Transformers movie) is a great film. Well, maybe I’m lying. 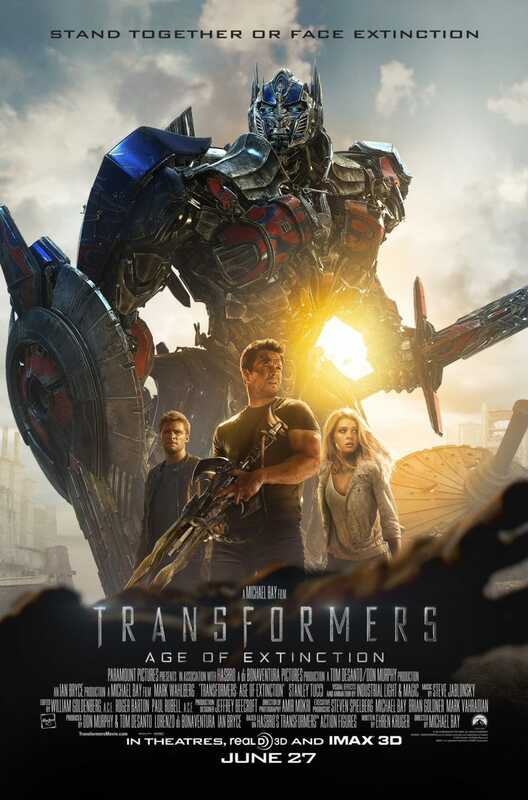 Maybe I really do think Age of Extinction is a cinematic achievement. Can you, dear reader, tell which opinion I’ve expressed is the truth? You can’t, because all art is subjective, and as much as you maybe can’t fathom it, there are some people that really enjoyed Age of Extinction. One of the most frustrating parts of the internet for me is the seemingly widespread belief that you can develop metrics that can determine how a good story is made. That the ingredients for a good story are quantifiable and can be reproduced, like you are baking cookies or building a dresser. That there is a formula that can prove that you are right for not liking something that is popular and everyone else is wrong. This is even more disheartening when really smart people buy in and sell it to other really smart people. I get it, the internet is about absolutes, and how to tell a great story is something we would all loved to see boiled down to a science and then exported to everyone. Then all we would get are movies like Citizen Kane and no more movies like Transformers 4. Or maybe for me that would mean we would get Transformers 4 all the time and no movies like Citizen Kane. You decide. This movie should have been an absolute disaster, instead it is one of the most highly regarded films of its time(maybe of all time). It’s no Age of Extinction, but even I can see its merit. Storytelling, even at its most commercial, is a deeply personal thing. It is informed by who the people making the art are at their core in that moment, even if they are just producing something to make a quick buck. And that’s before you even get to the audience. Each and every person brings so much to any interaction with even the most casual piece of entertainment. For example, my mother was the most important person in my life and a few years ago I lost her. And like any child, I wonder if I’m the person she would want me to be, if I’m someone she would be proud of. So at the end of Batman v Superman, when Superman randomly grunts out “Martha” just as Batman is about to kill him, that hit me hard. I can imagine being so sure I’m right about something but in a moment being reminded of the people I care about and thinking maybe I’m not right, and I am in fact dishonoring their memory. I teared up at a moment many people laughed at and still laugh at. I even laughed at it later. So which is the right reaction? Am I right for reacting emotionally to what was supposed to be a big emotional moment, or are other people right for laughing at a hokey and poorly developed end to the Superman/Batman conflict? Attempts to quantify storytelling, whether its to dictate how stories should be told or maybe, I don’t know, prove that your contrarian opinion on something popular is totes the right one(cough) are more about ego than anything else. Taking the popularity of anything as a personal insult that you have to answer is the height of insecurity, and attacking someone for not liking what you like is the other side of that coin. Both stifle the dialogue between audience and artist and discourage real change. We enhance and grow storytelling in all mediums when we add our unique voices and perspectives, not when we sit around taking shots at other people’s enjoyment with the quite frankly childish intent of provoking a reaction. One of the things that drew me to the Odeck was this. Whether it was superheroes or the Simpsons, the people here explored popular culture is a way that expanded my understanding of both the subject and of myself. That did not mean that they were cheerleaders or anything like that, but that they engaged whatever the subject matter in a thoughtful manner. It helped me develop my own feelings on creativity and art and what it means, and for that I am truly grateful. I just hope people realize there is a difference between that and taking a stance and doing everything you can to paint anyone who disagrees with you as a villain. The internet has enough of that cartoonish simplicity and does not need more.